Mike was great. Very friendly and responsive. Great attitude for wanting to do everything the customer wants. Reliable and fast to get his promises done. Had exactly what I needed. Fast professional service and shipping. These guys went above and beyond what I expected! Was not an exact replacement. Instructions did not cover wiring changes needed to operate. Works great though, after 2 hour install. Helpful on gettig parts orded online, but i ordered on Tuesdat and my parts still have not showed up at my address on Sunday. I was told three days delivery gauranteed. It was easy to find the part I needed. Ordered it on Monday and it arrived on Wednesday. Great selection. Had the information that I needed to determine my exact parts needs. Shipping was crazy fast! Where else but here to get everything I need to restore an Old Buck! Great folks, family business, dedicated to getting things right. 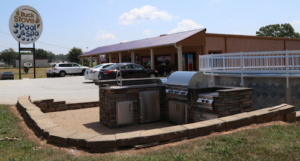 Everyone was friendly, service was prompt, and staff went out of their way to solve our issue. Fast, friendly service. Answered all my questions quickly. These guys are awesome and what they do. Can't go wrong with Buck Stove. Super quick shipping!! Thank you! !! I thank the gentleman who mailed my package specially on a Saturday so that I would receive it on time. I got it today and am very pleased. Very knowledgeable workers. Prompt and efficient service! I found all the parts I needed to revive my old Buck stove. The parts arrived quickly and I found the prices to be great with free shipping as well. All fixed up and on the job in less than 48 hours. 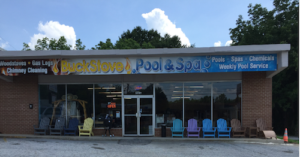 Thanks to Buck Stove Pool & Spa for having all the parts we needed in hand! I live out of state and needed a new motor for my fireplace insert. Ray helped me until we found what so needed. I will definitely use them again. Helpful, friendly upfront. More places need employees like this! Thank you Ray! Quick shipping and they had the exact parts I needed. Can't beat that! Prompt delivery & correct parts! LOVE my refurbished BUCK with glass door and brass trim. We run it most of the time through the winter. VERY efficient and significantly reduces heating costs for a 3400 sqft home. I'd do it again, only sooner. I ordered a fan motor and switch, everything arrived in a timely manner and worked fine, no problems. Thank you all for your help. Unbelievable fast 2-day mail delivery .... with easy to follow directions on how to change the thermostat on our Buck insert. You guys are the BEST ... Thanks!! Very timely on the order. Was exactly what I ordered. Definitely recommend to whoever. Keep up the good work!!! Ordered a switch for the squirrel cage fan for our lp gas fireplace insert and it was here in southern Illinois in no time, plus it worked! Super fast delivery, good products. Website was the most descriptive on what was actually needed, and what model I had! My order arrive very fast once placed. Will be placing orders in the future. Very prompt and exactly what I ordered! Been dealing with these guy for years. They know there stuff. I recommend them and good prices!!! Repaired my woodstove pipe really fast. Very professional and so nice! I appreciated the prompt response. I will always recommend them to family and friends! Received my order in good condition. Still need to install the parts to make sure all is working but the delivery and service are commendable. 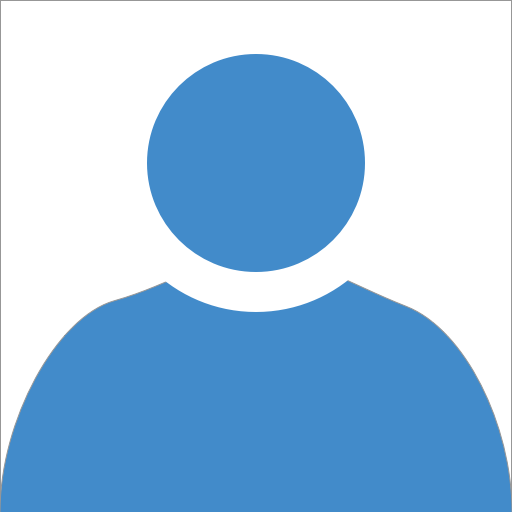 Very fair value and experience for products and services. Persistent efforts to meet expectations. Knowledgeable and helpful staff. Fair prices. It’s great to have a place like this nearby! Guys were extremely knowledgable, friendly, and order was processed quickly. If all web based businesses operated like this one there would be little fear of on-line shopping. Just cannot say great job loud enough!!! Everyone I had conversations was very friendly and courteous from the start, I think their work is of high quality. Would definitely recommend for any pool needs. Love the place great customer service ! Always friendly when you walk in. Every one is very helpful and don't mind waiting on their customers. Always fast service ! Great staff and wonderful people to work with. Great people to do business with ,very friendly very knowledgable. just what you would expect from the great state of South Carolina. The fan motor was an exact fit for my older Buck Stove 27000. They shipped it very quickly and included excellent installation instructions. I ordered all the parts for my older Buck wood stove. Got fast delivery of quality parts. I recommend them, great service!! Amazingly fast and freindly service. nice quality repacement parts for my buck stove. The door glass arrived March 9th in good order. I am very happy that you had the replacement glass for my 35 year old Buck stove. Thank you for the wonderful service. I always buy my Buck Stove parts here and am never disappointed. Had exactly what I was looking for; in stock and shipping. Great customer service! They always seem to have what we're looking for at great prices and fast shipping! Thanks guys! You're welcome, Lori! We appreciate your review! Great service. Fast delivery. Highly recommend. Great customer service over the phone. Tech recommended replacing additional electrical items with fan motor to assure ground faults were eliminated after motor grounded out. The stove grate fit perfectly. I've ordered parts for our Buck Stove from here and they have pretty much all replacement parts I need and then I also found they also have parts for our hot tub! (Plus) Great price, response and delivery of product. Good company , fast service and nice prices !! Will order from them again. Great service! Quick shipping and product is exactly what we needed; the instructions that came with it were extremely helpful. Very thoughtful addition. Fast delivery, great service. Web site easy to follow. Exactly what I ordered, fit perfectly and arrived quickly! 🔥Ordered two, hard to find, fan blower motors for an old Silent Flame insert online and got the first one shortly after. Second one shipped a little later and should be arriving post haste!! The fan motors in my Aurora insert burn out every few years & when the bearing noise starts I just call Buck Stove & spend an afternoon puttin' 'em in, good to good to go for another couple years.